In excellent condition with tag still attached to large bowl. Looks unused. No chips or cracks to glass. Gold tone on dip bowl holder has some wear but the shine is still there. 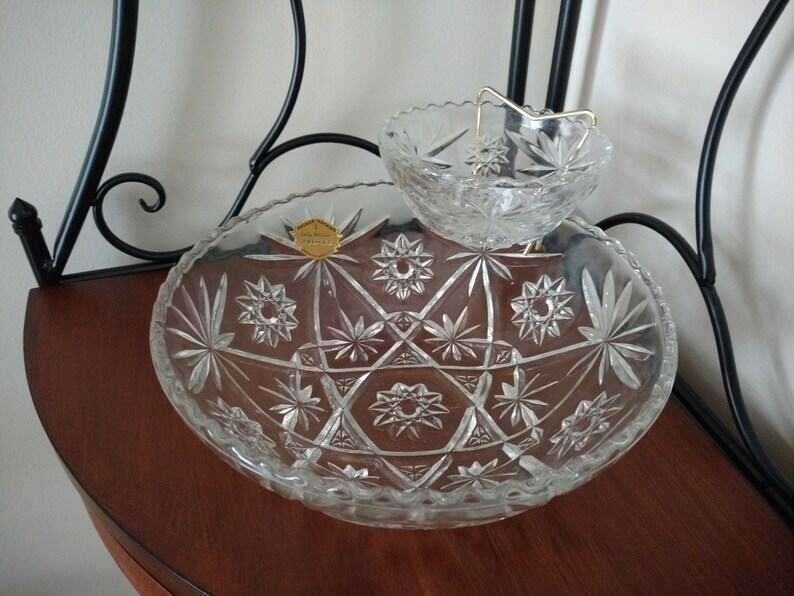 Large bowl has a diameter of 10 3/4". Height is 4". Small bowl has a diameter of 5 1/4". Height is 2 1/8". Box included. Has wear and tape attached.